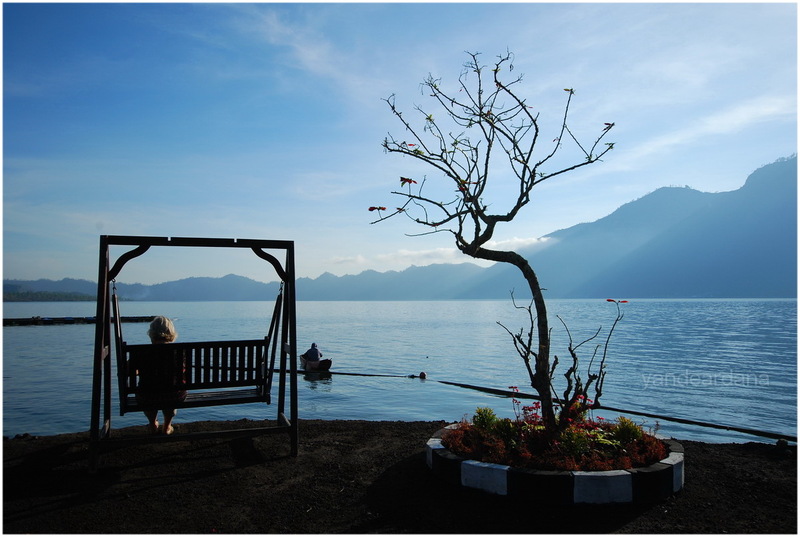 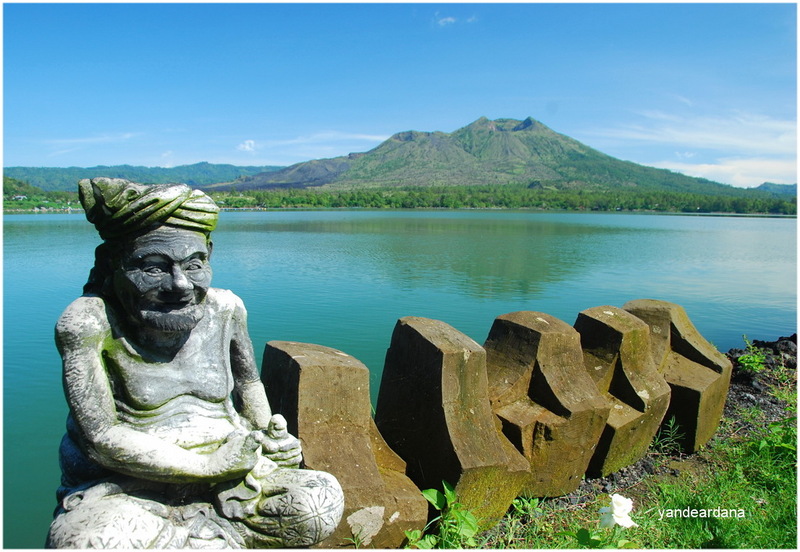 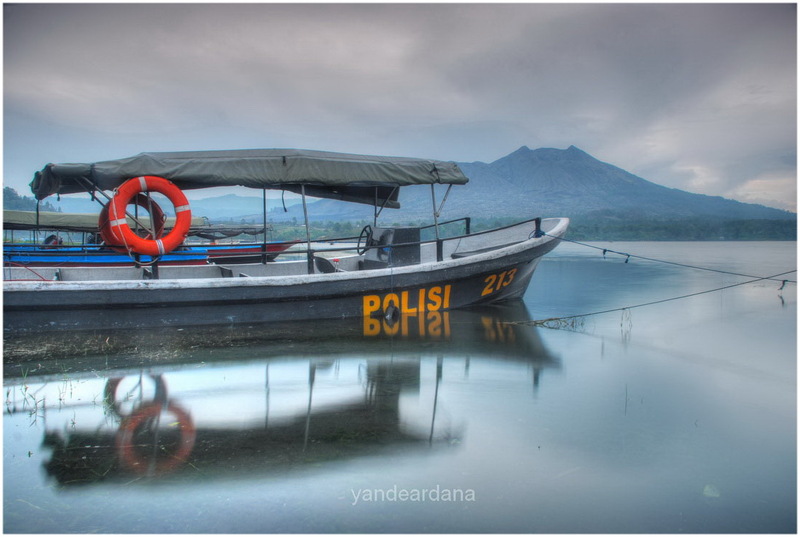 Batur is names of the second highest volcano in Bali 1717 meters and the largest lake 1718 ha, on a normal tour the tourists just admire the view from Kintamani village as there are many restaurants overthere face to volcano to enjoy the scenery. 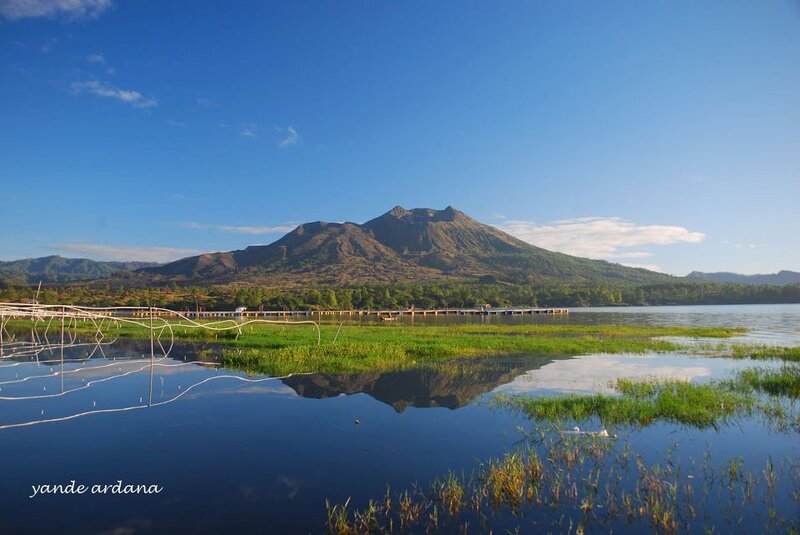 So mostly they are there during lunch time but for photographers this place is a site to see the sunrise to capture Batur volcano and its lake during sunrise. 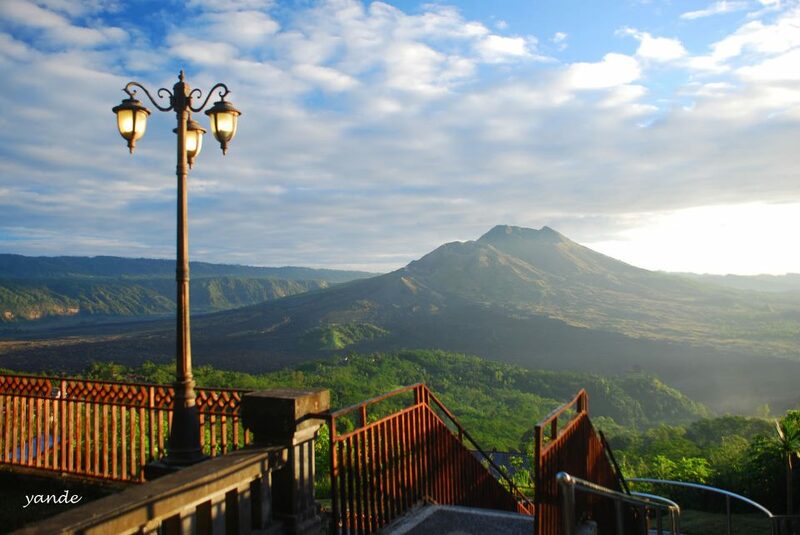 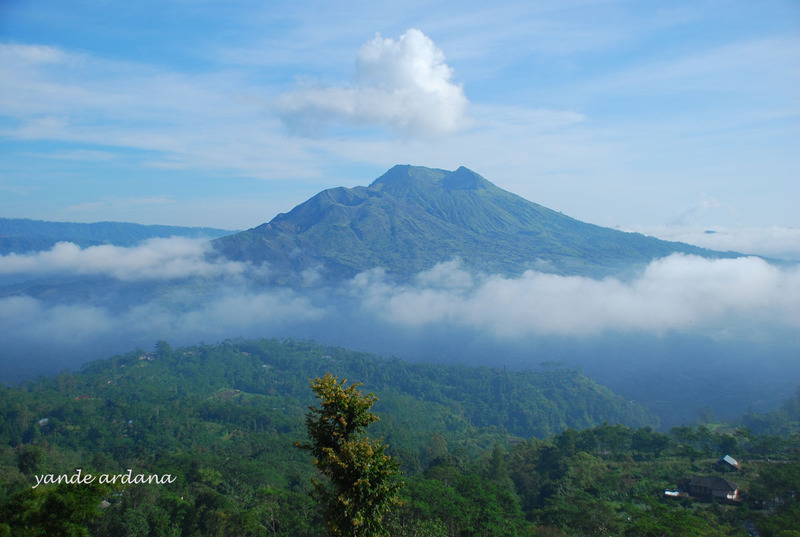 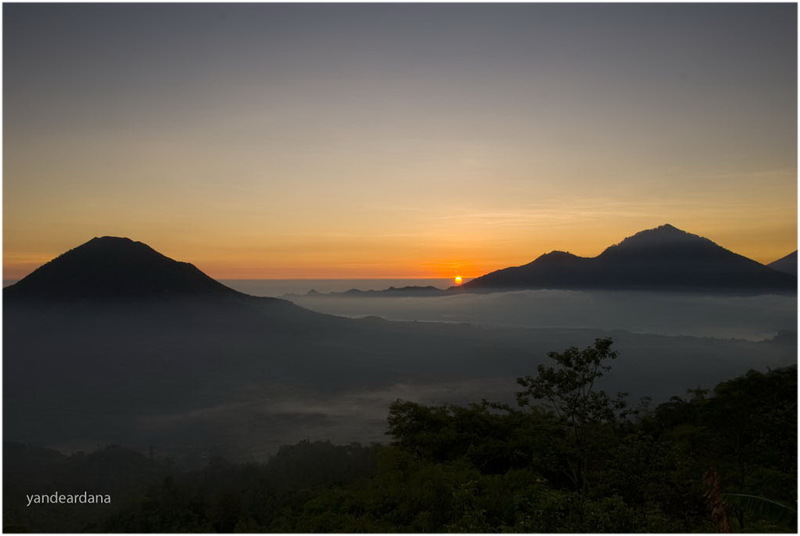 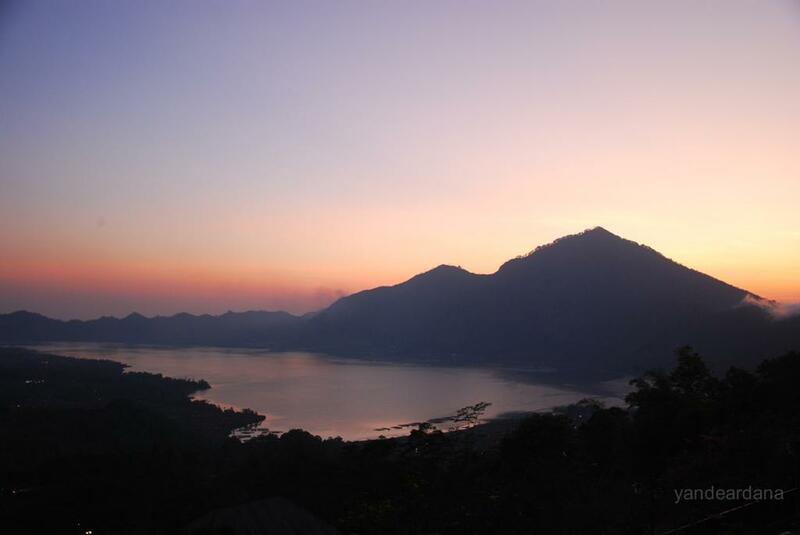 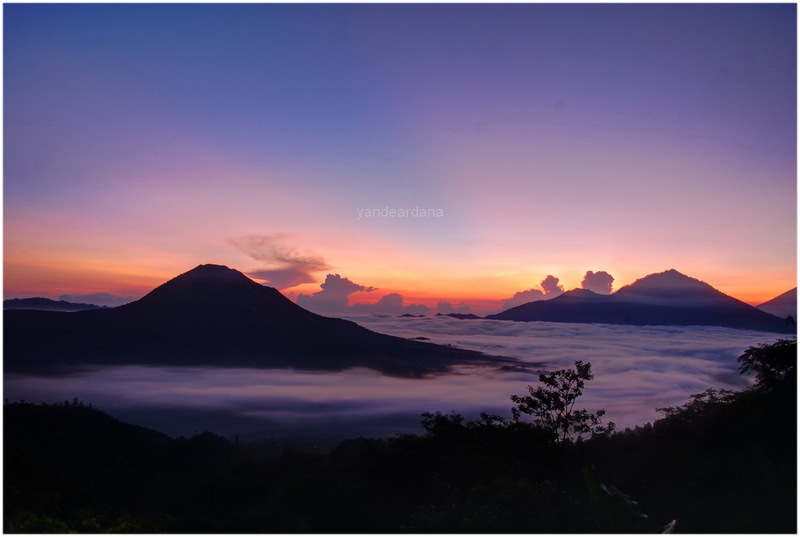 Adventurers will hike up to the top of Batur volcano to enjoy the sunrise as well.